Vol. 15, No. 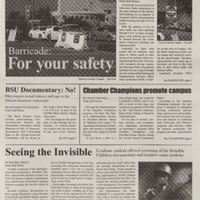 5 reports on barricades in the parking lot for pedestrian safety, film showing of "Invisible Children" and "No! 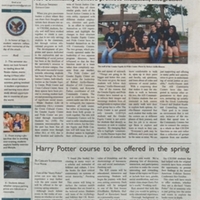 ", the work of the Chamber Champions, and the upcoming first Major and Internship Fair. 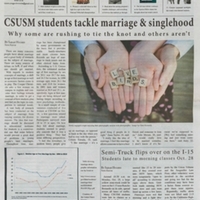 Volume 21, number 3 of The Pride. 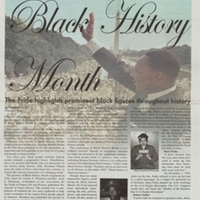 The issue includes extended articles about Black History Month. 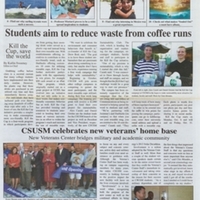 Other stories are about RecycleMania, congressional internships, and Spring Break activities.